The Penrose Road school football team who were winners of the Magpie Cup. Back row (l to r): Paul Williams, Patrick Williams, Dennis Trethown, Mickey Dale, Malcolm Gilbert, Michael Davies, Lloyd Williams (P.E. Teacher). Front row (l to r): Saville Milburn, John Penaluna, Peter Collier, A.G. Harris (Headmaster), Jocelyn Bray, Howard Pascoe. 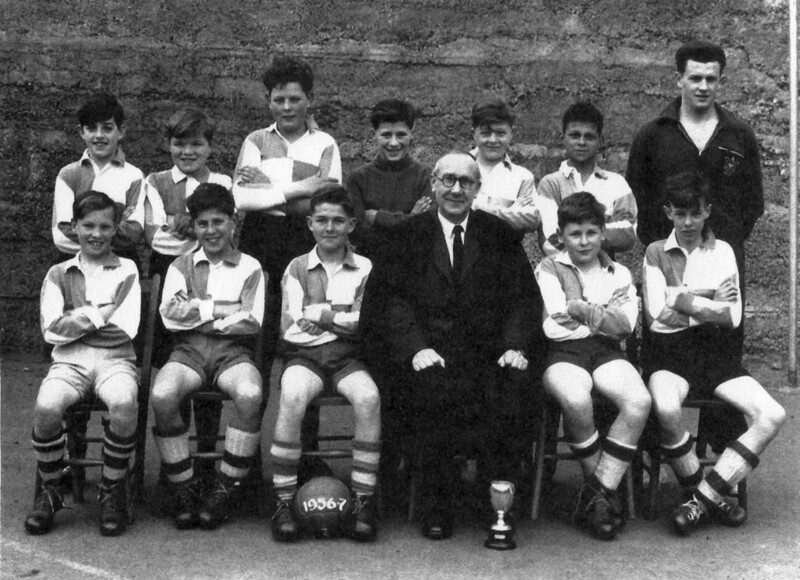 “Football Team, Helston County Secondary School, 1956,” cornishmemory.com, accessed April 24, 2019, http://cornishmemory.com/item/HGS_033.